You are currently browsing the tag archive for the ‘artist’ tag. 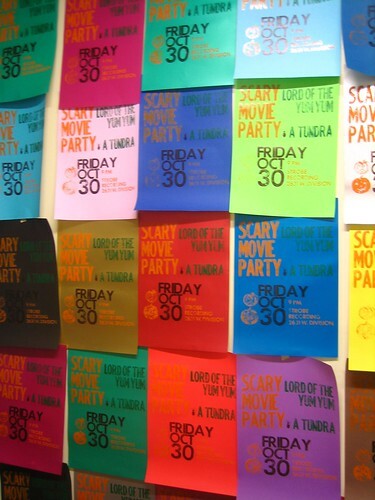 Check me out using my new (old) Line-O-Scribe sign press to print posters for the 666th annual Scary Movie Party, an event I helped create that is going public baby! Yeah! This method of printing is called “Use What You’ve Got” or as I like to describe all my printing, Quick and Dirty. 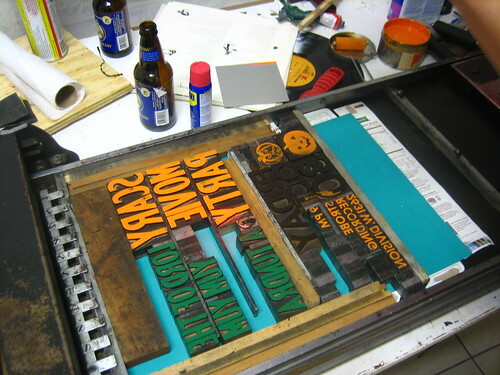 I picked up the press that day, and using only what came with it (two interesting cabinets of drawers full of very worn lead and badly damaged wood type) plus some borrowed ink, we banged out a bunch of blurry, slimy glossy inked prints on coated paper. 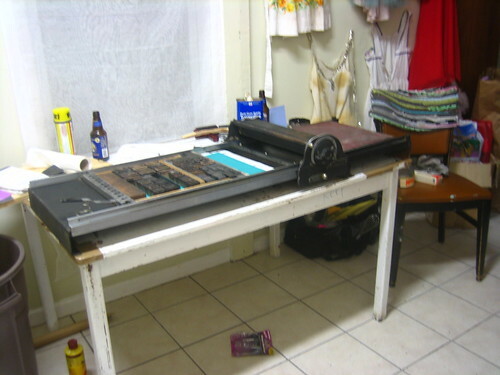 (My fellow printers, you can assume the challenge that posed, like grease on a banana.) Needless to say, they were a hit with the hipsters, as was the show. The forme. 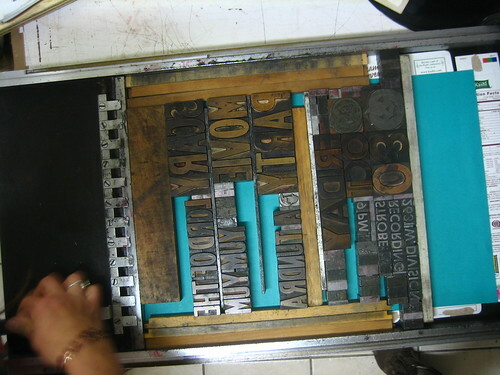 Because this is a galley height press,(I think, either that or the roller is REALLY shrunken) I had to substitute a cut apart cereal box for the underlayment to bring the forme to proper height. mmm Kashi. And then, we print! 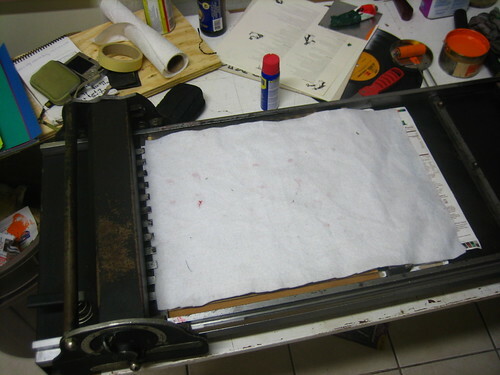 First, because of the condition of the roller (don’t ask me how much this cost), I had to pack the forme to get an impression and to keep the filthy roller from marking the reverse of the prints. I used a piece of polyester felt Jessi had that seemed to work just right. 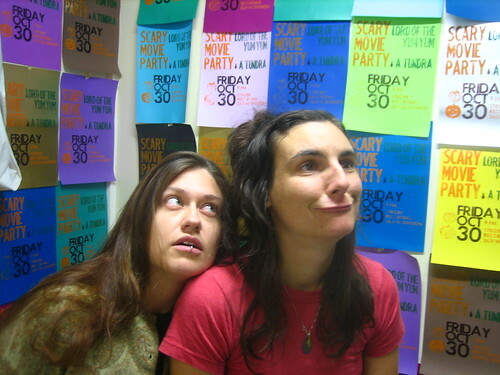 And finally, the Artists Formerly Known as Sane People, Jessi and Jenny! Big round of applause for their mediocre production! And not a word about the fact that its December 6 and I just now got around to posting about something I made in October. Shush!